Replication of hepatitis C virus (HCV) RNA is influenced by a variety of microRNAs, with the main player being the liver-specific microRNA-122 (miR-122). Binding of miR-122 to two binding sites near the 5′ end of the 5′ untranslated region (UTR) of the HCV genomic RNA results in at least two different effects. 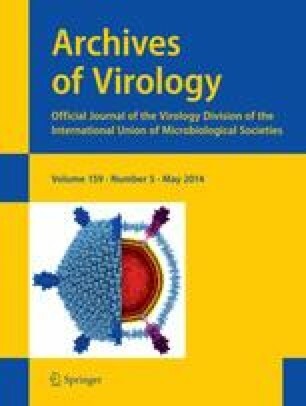 On the one hand, binding of miR-122 and the resulting recruitment of protein complexes containing Argonaute (Ago) proteins appears to mask the viral RNA′s 5′ end and stabilizes the viral RNA against nucleolytic degradation. On the other hand, this interaction of miR-122 with the 5′-UTR also stimulates HCV RNA translation directed by the internal ribosome entry site (IRES) located downstream of the miR-122 binding sites. However, it is suspected that additional, yet undefined roles of miR-122 in HCV replication may also contribute to HCV propagation. Accordingly, miR-122 is considered to contribute to the liver tropism of the virus. Besides miR-122, let-7b, miR-196, miR-199a* and miR-448 have also been reported to interact directly with the HCV RNA. However, the latter microRNAs inhibit HCV replication, and it has been speculated that miR-199a* contributes indirectly to HCV tissue tropism, since it is mostly expressed in cells other than hepatocytes. Other microRNAs influence HCV replication indirectly. Some of those are advantageous for HCV propagation, while others suppress HCV replication. Consequently, HCV up-regulates or down-regulates, respectively, the expression of most of these miRNAs. We apologize to those investigators whose work has not been discussed due to space limitations. Work in MN′s lab is supported by grants of the Deutsche Forschungsgemeinschaft, DFG (SFB 1021, IRTG 1384, Ni 604/2-2).